“These ovens really get people’s imaginations going. They are brilliant tools for inspiring good times around the table. 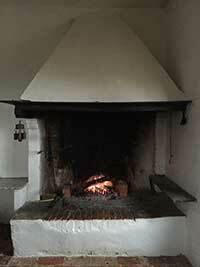 Podere Santa Pia has a fantastic rustic ambiance featuring a beautiful pizza oven inside the house. 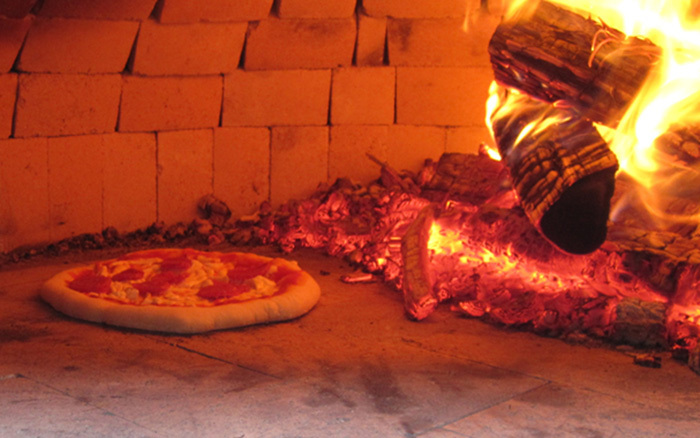 The pizza oven is a true traditional, rustic wood-fired oven. 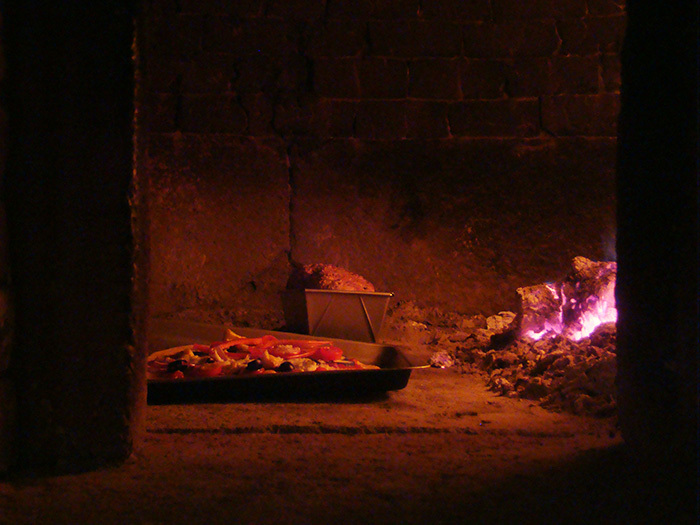 Pizza ovens have circular floors, and parabolic ceilings that reflect the heat down, creating a wonderful convection that bakes everything to perfection, while the fire brings out a unique crisp, bubbly texture and smoky taste. Since pizza baking is a dynamic process, in which the oven door stays open while you add, turn, and remove your pizzas, you have to keep a fire going in the oven lest it cool. 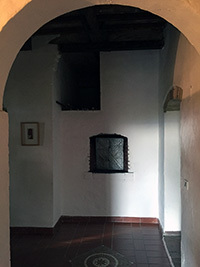 The circular floor allows you to simply keep the fire to one side where the roof slopes down, and have most of the floor area free for pizza.A wood-fired pizza oven heats up and cooks our meals a lot better because of the heat stored in the dense walls. When the oven gets really white hot inside, temperature can be far above 300°C - 572°F or 350°C - 662°F and maintained by keeping a continuous small fire going. The best pizza is pizza baked in a ferociously hot oven. The oven will heat up and over time start to cool, by using these phases of heat, one can achieve a range of cooking styles. 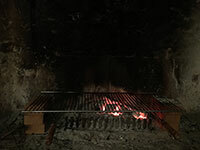 Depending on the cooking technique, move the embers and flames towards the back or side of the oven, or alternatively spread the embers across the oven floor. Maintain temperature by adding more wood accordingly. After a few hours, when the oven is less hot, one can bake bread and roast meats.